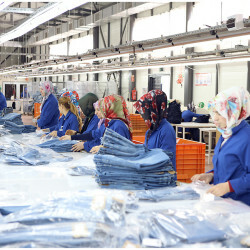 REALKOM, headquartered in Istanbul, is a market leader in the textile industry. 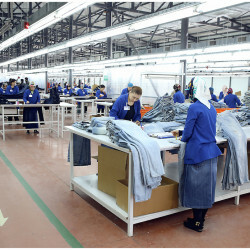 A fully integrated textile company with a highly dedicated team of 1500 employees and a production capacity of 450,000 pcs of woven garment per month, REALKOM maintains high ethical and manufacturing standards. 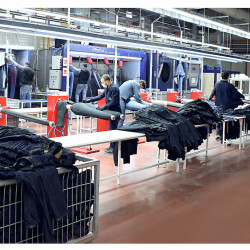 REALKOM has a reputation for high quality denim productions a result of extensive experience with fabric research and development and a vast wash-development centre which is up-to-date with the latest trends and washes. We are always aiming to exceed customer expectations and provide creative solutions to meet any kind of demand. 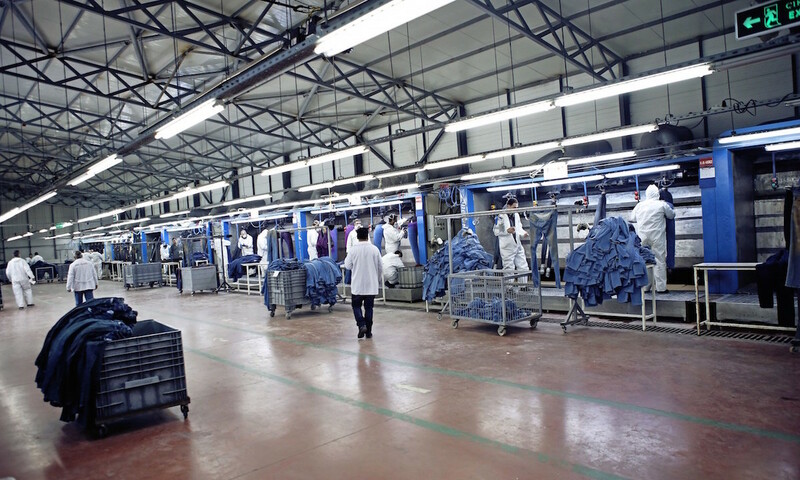 Keeping up with the emerging trends, market needs and combining them with our technical and creative expertise is our way of driving profitable growth in the constantly evolving fashion and textile industry which requires a forward thinking, innovative and flexible approach. 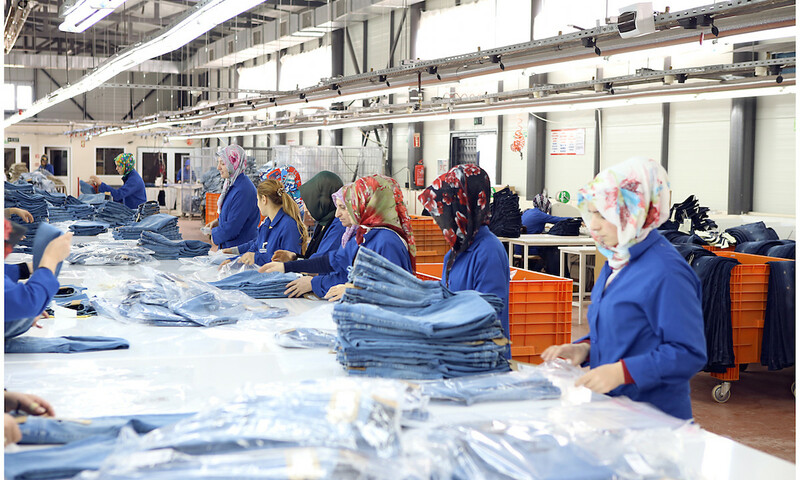 Our central office, based in Istanbul, employs 325 highly skilled team members which focus on our unrivalled research & wash centre developing more than 200 new fabric and wash combinations per month. 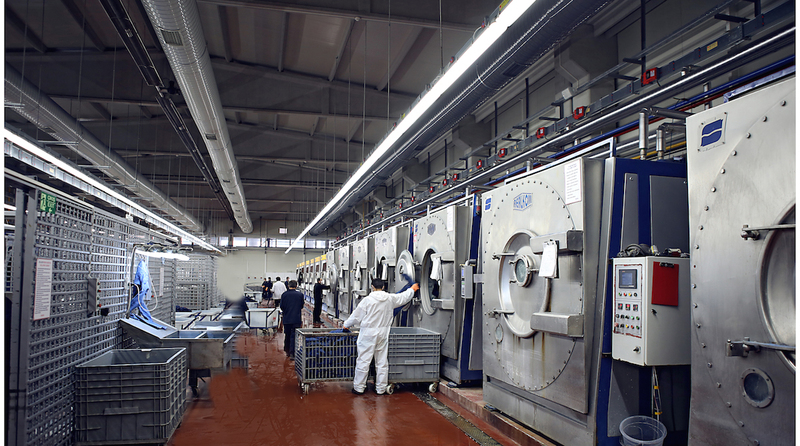 The wash unit is capable of 10,000 pcs of sampling production per month. 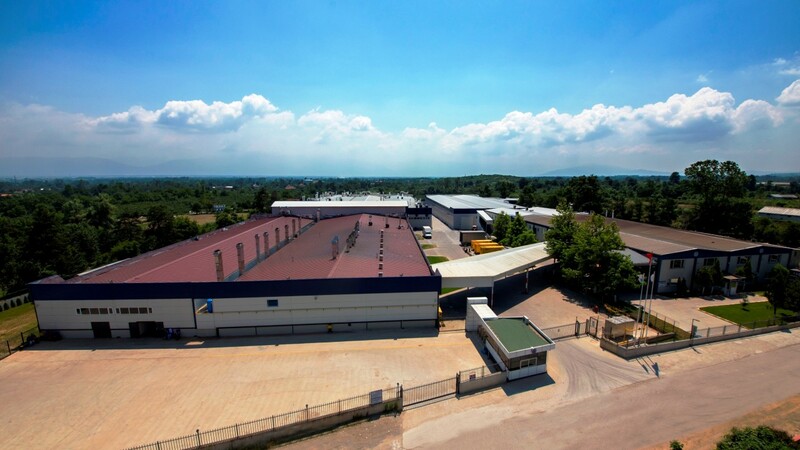 Our production is based in Düzce, with 1180 employees in 4 different production plants, vertically integrated units from cutting to final shipment. 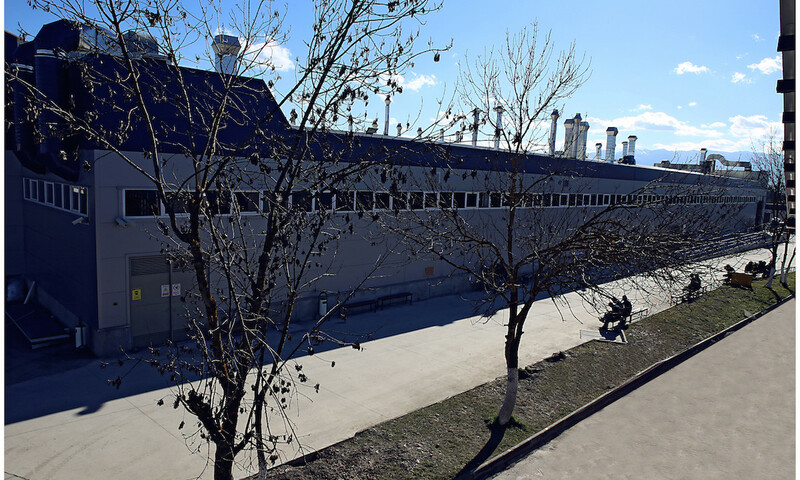 Production capacity of 350,000 pcs. Our inspiration is drawn from our everyday surroundings. Our product managers and design team travel around the world frequently, attending fashion fairs and visiting trendsetting shops, to keep up to date with emerging trends. 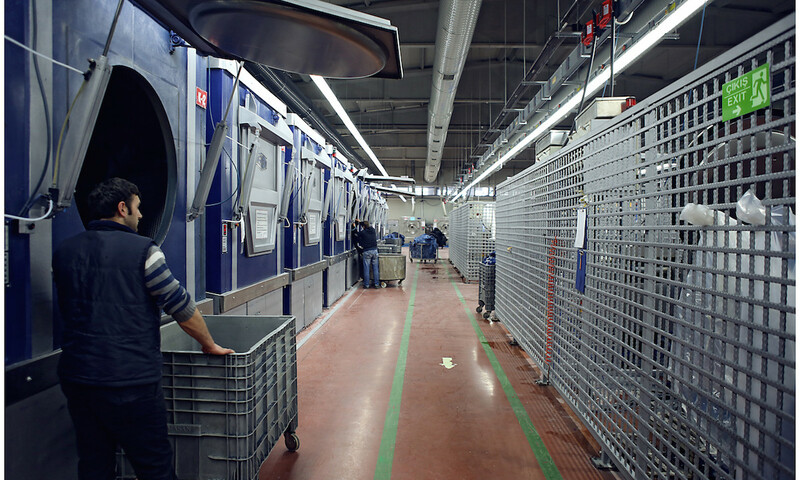 Our sourcing team understands, discusses and interprets the needs and ideas of our customers. Fabric specialists are able to predict upcoming fabric trends in the market and experiment with all sorts of washes to find a wide range of suitable fabrics for our versatile collections. Flexible, extensive collection of services from initial inspiration to final presentation. Our talented design team provides a range of stylistic choices ranging from classic, simple styles for casualwear to more intricate styles for a more edgy, sophisticated approach. 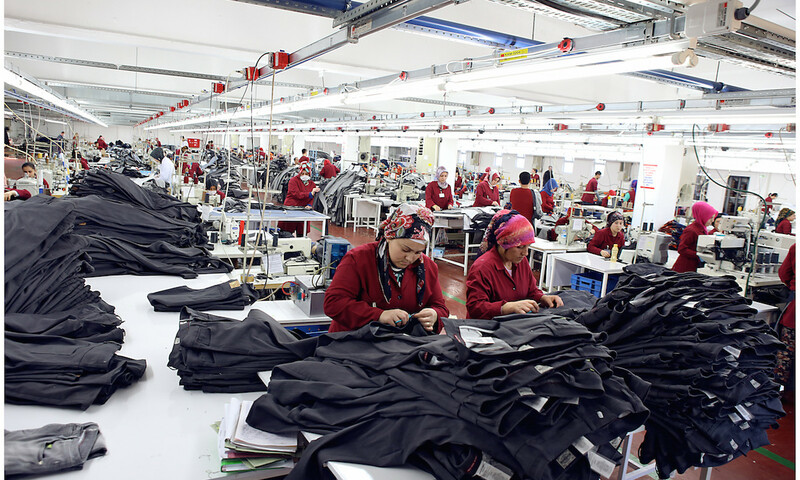 18 highly skilled pattern makers both experienced in Gerber and Optitex programs to fulfil all pattern requirements. 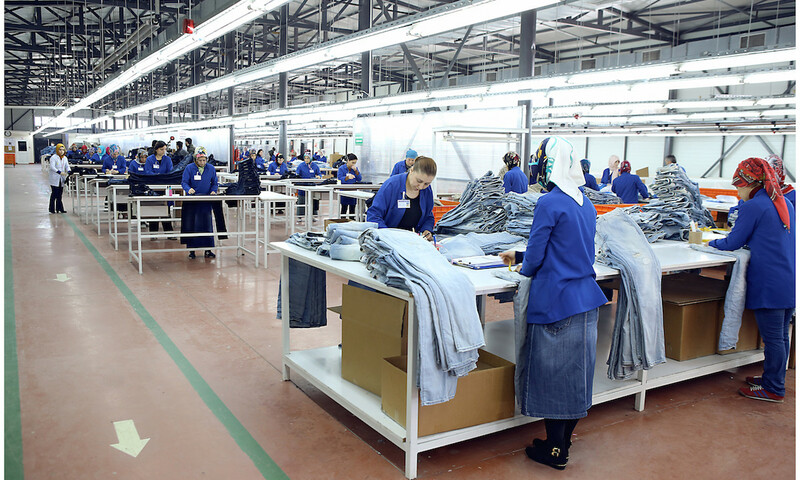 Main organisation unit of the company, makes critical path analysis, predicts and sets all stages of production. 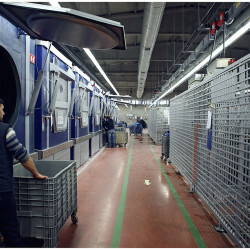 Connects and plans in-house and subcontracted production units for a rapid on-time deliveries. Fabric is rolled out and placed on the tables 30 m long and layered. Amount variable from 50-70 layers. Pattern paper with fabric parts is fixed on top of the fabric pile to ensure accurate cutting. All kinds of embroidery, print and artwork can be applied on garments. 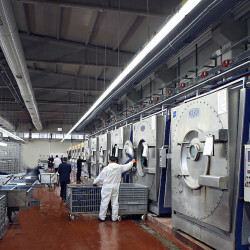 This process can be done before or after washing depending on the design. 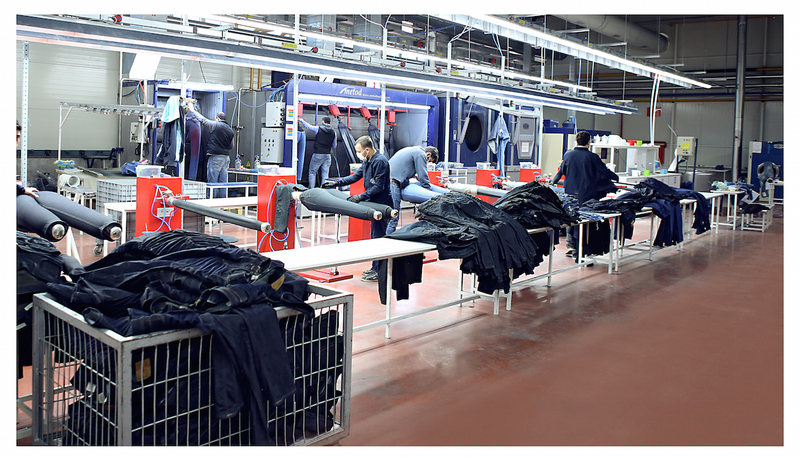 Each pair of jeans is made up of 19 to 42 parts, depending on the style. 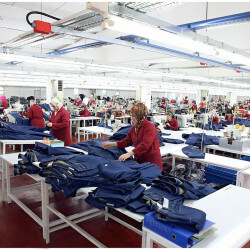 Each seamstress operates one machine and handles one stage in the sewing process. 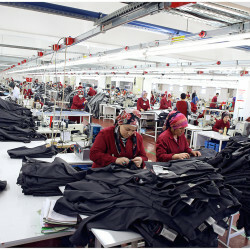 50-80 stages involved to finalise garment. 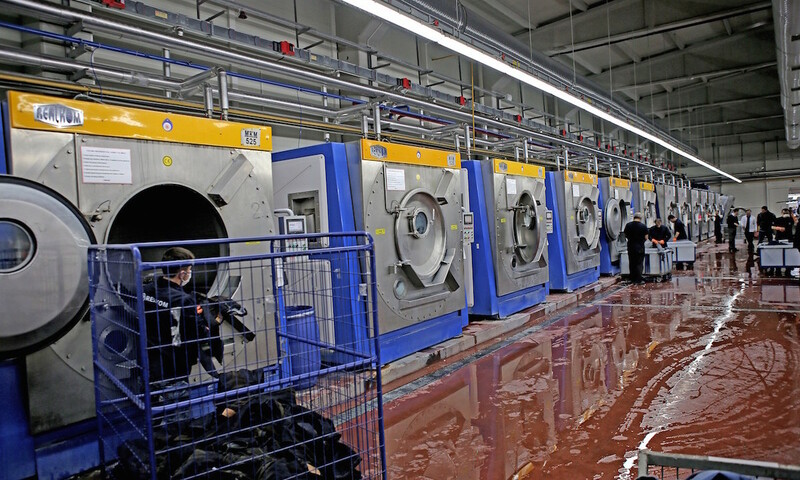 Experienced design and washing developers choose the most suitable wash & fabric option from a wide range, offering a unique collection for our customers. 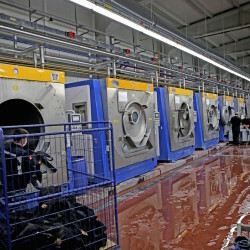 Creative design technicians employed for research and experimenting new washing techniques. Cleaning, ironing, nailing, final measurement and colour inspection. 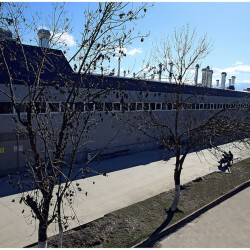 All quality tests and reports are subjected to individual Quality Assurance Team. 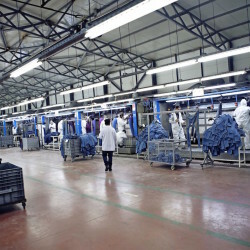 Depending on our customer needs garments are packed subject to their packing regulations. 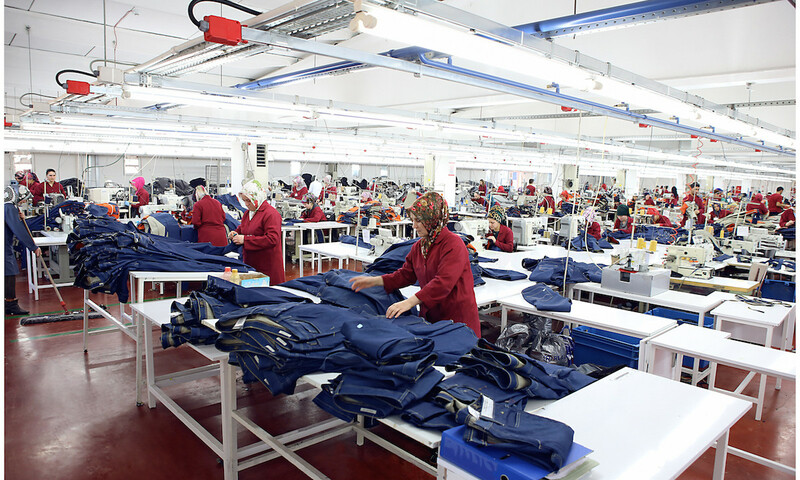 After all quality controls, garments are ready to be shipped to their destination. In order to obtain healthy and optimum working standards, we are committed to fulfil our corporate social responsibilities. We are registered on the certificates listed below. With a steady stream of new fashions being introduced, we are looking to recruit innovative, hard-working individuals who have the confidence to learn on the job, develop new ideas and reflect the quality and professionalism onto our products, ensuring that we continuously develop to keep REALKOM at the forefront of this highly competitive market and satisfy our demanding customers. 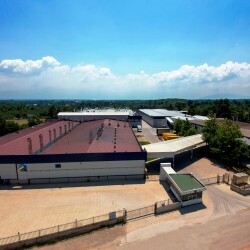 We set high standards for recruitment, support all our team members to advance to higher positions in their department by implementing training, mentoring and on-the-job coaching as well as performance assessments to monitor productivity, efficiency and improve technical skills in line with our working standards. The Human Resources Department builds the success of our company by developing and encouraging our employees to reach their full potential, to ensure that we have the right people with the right skills in the right positions. We offer all employees opportunities to develop and grow within the company. By investing in our employees, we believe that they will thrive in our ever-expanding business and that as a result, our investment in our employees will keep us in a pioneering position in the market. Our utmost priority is employee satisfaction; to provide a dynamic and stimulating work environment and to act with integrity towards everyone who contributes towards our success providing equal opportunities for growth and development in our company. Armed with state-of-the-art equipment, an unrivalled high quality product range and services tailored to our clients needs has allowed us to build many long-term partnerships with the most discerning customers.